It’s a book release day! Or rather, a relaunch day. But that’s still cause for celebration. Which I feel like I, personally, need right now. So this right here is the first-ever printed copy of my novel Mystic. 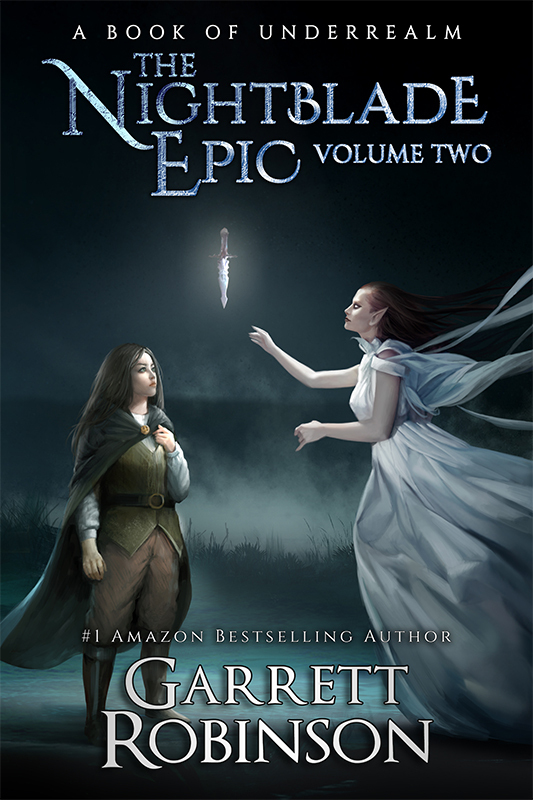 It’s the second book in the Nightblade Epic, the series that enabled me to become a full-time author. Like its predecessor, Mystic was originally written as a serialized book of eight episodes. These were released to readers piece by piece on Amazon and also via Gumroad, an etailer that I thought was going to be the next big thing for indie authors. The big advantage to Gumroad was that I could set readers up on a subscription, which I thought was a great idea because I hadn’t yet understood my relationship with deadlines. Which is a little bit like ice cream’s relationship with Tobasco sauce. Some things are wonderful apart, and absolutely terrible together. But the book came out and it did pretty well—better than any book I’d released before that, and everything was happy. Then, when I was with Sterling & Stone, Mystic got a re-edit and a new cover. This is probably my favorite of the Sterling & Stone covers, but Jordel does still look like an avant-garde fashion model. Which I’m sure that model probably is. Now when I got into reviewing the changes that had been made to Mystic, I realized that this book had received much more significant edits than Nightblade had. Which is really a shame, because Mystic has a lot of work to do as the second book in the series. If I’m being honest, it’s the least complete story out of any Underrealm novel. That’s because it bridges the gap between Nightblade, which is almost a self-contained story, and the world of Underrealm in general, which is an ever-growing, ever evolving universe on the level of Marvel’s comic books. I mean, not “on the level of.” Like, attempting to do the same thing. You get the idea. A lot of things that were changed about Mystic were actual details about the world. There were changes made to the way people speak, the way they refer to organizations and groups of people. The convention of always using the word ‘tis instead of “it is” was introduced in Mystic, despite not being done once in Nightblade. In summary, out of all the Underrealm books, Mystic had the most heavy lifting to do in terms of establishing a relationship with the reader, and it had the most roadblocks thrown in the way in its attempts to do that. But now we come to the official second edition of Mystic, which has just released today. First of all, let me take a second to gush about the cover. The cover artist of this book is Miguel Mercado. You can find more of his work at a link in the description. He’s just incredible. I’m not gonna lie, the first time I saw this cover, which, like, IS Jordel as I’ve always imagined him, I cried a little bit. But more than the cover, the book inside is the novel I’d originally envisioned when I sat down to continue the story of Nightblade. Mystic is where I feel like I really started to grow from a writer who was just trying stuff out to an author who was serious about what I was doing. It’s where I started to put true creative work into not just my plot and my characters, but my world, and my books themselves—the experience they imparted on my reader. Mystic is where you can start to see, for the first time, the seeds of what has become the universe of Underrealm, and which will hopefully continue to grow into a world where many people are free to create their own stories. So if you’ve been waiting for the official release of the second edition, you can find a link to it in the description below. I certainly hope you enjoy it. That’s it for today, Rebel. A huge shoutout to all my supporters on Patreon, and a reminder to anyone who ISN’T a patron that my $5 patrons get all my books when they release. Which is like a subscription to my writing career. It’s pretty cool.